It's Facebook Fridays! for January 5, 2018! It's time to explore the divinatory and spell casting powers of minerals and gemstones. The Lucky Mojo Curio Company is holding a random drawing to give away 5 Crystal Magic spiritual supply prizes for your spiritual needs! This week each lucky winner will receive a copy of "Crystal Magic: Divination Healing, and Spellcraft with Gems and Minerals," by Rev. 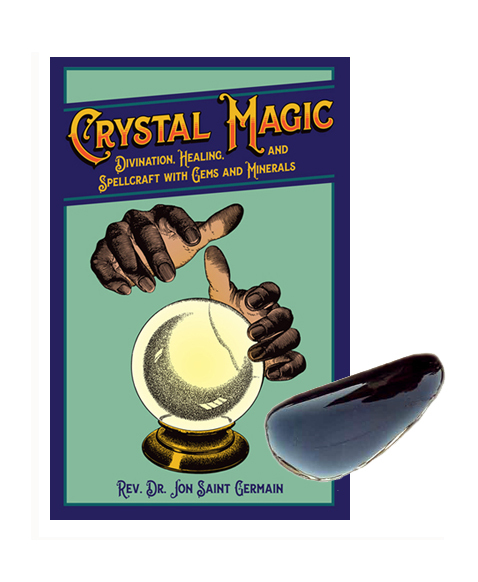 Dr. Jon Saint Germain, along with a genuine Obsidian Palm Stone to help you sharpen your scrying skills! We have a winner! In fact, we have 5 lucky winners! Our Facebook Fridays! winners for January 5, 2018 are: Jasmin Luna, Kel Castillo, Olivia Fitzgerald, Micole Hughes, and Tulima Mauga.